This year, China will celebrate its 40th anniversary of the reform and opening-up, referring to the policy of internal reform and opening-up to the outside world. Adopted at the Third Plenary Session of the 11th Central Committee of the CPC held in 1978, the policy has brought about huge changes to the country. The establishment of the People's Republic of China in 1949 completely freed the country from oppression. But for a long period of time, the country's development was in stagnation. It was not until 1978, when the reform and opening-up policy was implemented, that the Chinese nation embarked on a new route toward rejuvenation. The internal reform started in 1978 at Xiaogang village of Fengyang county in East China's Anhui Province, where farmers signed agreements to divide communally owned farmland into individual units. It pulled the curtain away from China's rural revolution and reformed the Chinese economy from centralized planning toward developing a socialist market economy. In July of 1979, the central government officially approved the implementation of special policies and flexible measures in foreign economic activities in Guangdong and Fujian provinces, which marked the historic step of opening-up, which has become China's basic national policy. The "Southern Tour Speeches," targeted at domestic misgivings over the country's reform and development, was made in 1992 by former Chinese leader Deng Xiaoping, the chief architect of China's reform and opening-up, who announced that China's reforms had entered a new stage. The past 40 years of reform and opening-up witnessed China's booming economy and a dramatic increase in Chinese people's income. China's GDP increased from 364.5 billion yuan ($57.6 billion) in 1978 to 82.71 trillion yuan in 2017, the second highest in the world. China's GDP per capita also increased from 381 yuan in 1978 to 59,660 yuan in 2017. The National Bureau of Statistics shows that, in 2017, the disposable income per capita of Chinese citizens reached 25,974 yuan, and the national expenditure per capita reached 18,322 yuan. 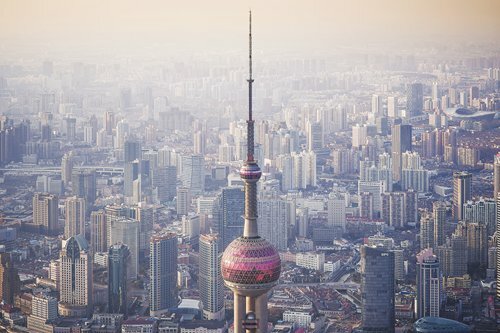 Economic experts predicted that if the Chinese economy continues to grow at this pace, China will reach the lower limit for high-income countries around 2022. Increased incomes have greatly improved Chinese people's living standards. The latest statistics show that China's Engel's Coefficient, which measures food expenditures as a proportion of total household spending, dropped to 29.3 percent in 2017, reaching the well-off line of 20 to 30 percent set by the United Nations. Although the spokesman of the National Bureau of Statistics stressed that the Engel's Coefficient is not the only standard to measure whether a country is a developed country, many Chinese feel an improved quality of life. Statistics from the China Tourism Academy under the China National Tourism Administration show that the number of Chinese outbound tourists broke through 130 million in 2017, spending $115.29 billion. China remains the world's largest outbound tourist source country, whereas just a few decades ago traveling abroad was unimaginable to most ordinary Chinese citizens. The opening-up policy has also attracted more foreigners to China. The latest statistics released by the Ministry of Commerce show that the number of new foreign-invested enterprises in China reached 35,652 in 2017. The actual use of foreign capital in China was 877.56 billion yuan, a record high in history. Chinese Premier Li Keqiang frequently mentioned the Belt and Road initiative (BRI), which is an "upgraded" version of China's opening-up policy, in the Report on the Work of the Government at the First Session of the 13th National People's Congress on March 5. The international cooperation of BRI was written into this year's government work report as the primary measure to promote the formation of a comprehensive and open new pattern. 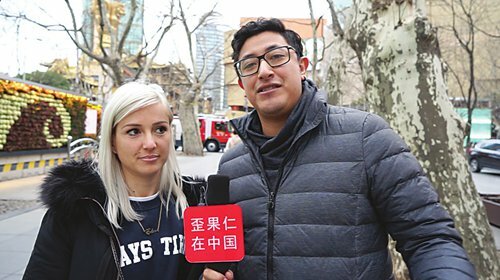 On this occasion, the Global Times hit the streets of Shanghai to interview foreigners about their knowledge of the reform and opening-up policy and their opinions of how the policy relates to their own lives. Italian economist Michele knows "a lot" about China's reform and opening-up policy, as researching the Chinese economy is part of his major. "Opening-up in Anhui in 1978, household responsibility system, relaxed on enterprises, and entry in the WTO in 2001. And then trade and investment, more opening- up to the rest of the world," his words gushed out when he talked about the historical events related to China's reform and opening-up policy with the Global Times. Fernando from Spain also knows about the reform and opening-up policy. "China's reform and opening-up policy also known as gaige kaifang. It changed China's landscape and introduced major economic reforms that later affected China globally. For example, it led to further policies like One Belt, One Road, which is still in place right now. This policy started by Deng Xiaoping also improved the infrastructure that led to major economic revival. And for example, deep water ports, and special administrative zones, such as Xiamen and Shenzhen," Fernando said. "I think the most impressive thing is on the finance and economics. So there was a really opening in the markets to all over the world. That created much more freedom for Chinese people to travel. And also for foreigners to come over here," American Fernando added, explaining that he thinks Chinese people are happy, like to talk, are easy to communicate with, and even sometimes, their English is fantastic. "We were actually on the subway, and there were little kids from 9 to 12 years old. They were happy to talk in English with us and the city was fantastic," Nica from America agreed. Fernando commented that "[they have] good pronunciation." Hannah from the US knows that the reform and opening-up policy is "something [started] like 40 years ago," but she does not know the exact date. "I don't know details. I know that when I was small, it was soon after the opening-up of China, my father took a trip with his brother and his father from California to China to see and visit. 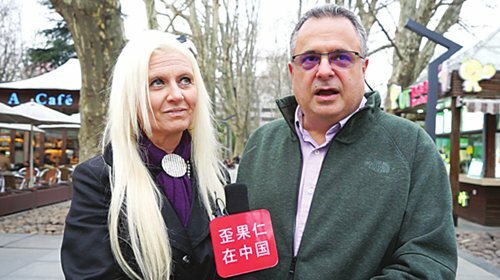 They were very excited and curious to be allowed to enter China and to visit China because there is so much history and beautiful things to visit," Hannah said. She thinks China has had one of the most rapid industrializations in the world. Her brother-in-law lived in China, when he was a child 30 years ago. At that time everyone was still on bicycles and only a few wealthy people had cars, Hannah told the Global Times. Ozkar from Mexico said he just figured out China's reform and opening-up policy started like 40 years ago but Edona, his friend from Albania said she did not know. "China, lots of years ago, was closed to the world," Ozkar said. "Yeah, I know that as well. So now it's open. That's why foreigners are coming here. And it's good. We are enjoying in China a lot," Edona said. In the past, Ozkar thought China was like a different world from other countries. "We were very excited about China. But now more and more people are knowing about this wonderful country," Ozkar said. 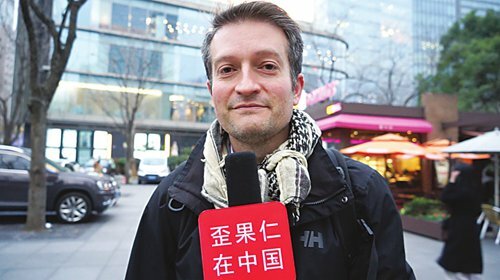 Rob from the US thought China's reform and opening-up policy started in 1980s, but since the Global Times told him that this year marks the 40th anniversary of the policy, he guessed it was 1978. "But I think it was the beginning of the time when there was more communications, relations, travel between China and other countries like the US where I'm from �?the beginning of a long history of the countries coming closer together and be able to cooperate economically and otherwise," Rob said. 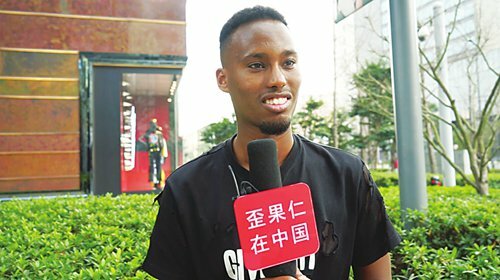 Abdi from Australia thought China started opening-up due to the fact that "they wanted a more prosperous economy where the foreign countries as well as foreigners themselves can open up businesses here and exchange goods and [do] trade." He thinks the laws are changing in China, especially for investment purposes of foreigners. "This is a good way for China to open its door to the Western world so that it can benefit its economy, and not only that, but its name and reputation in the world. China is now standing in a good position to capitalize everything in terms of the financial and economy," Abdi said. In terms of the question about how they are involved or related to the reform and opening-up policy as a foreigner, all interviewees expressed their gratitude toward the policy that has changed their lives more or less. Michele thinks foreigners are involved in many ways in the reform and opening-up. "More foreigners can come to China to do business. And more importantly, more Chinese go abroad to do business. So they help exchange views learned from each other ... and this has created benefits for both Chinese average citizens and for Western people," Michele said. Spanish Fernando thought it was sort of an arbitrary question as to how he is involved in or related to the policy as a foreigner. "Let's put it this way. If China did not open up, there would be few foreigners would be willing to study Chinese ... 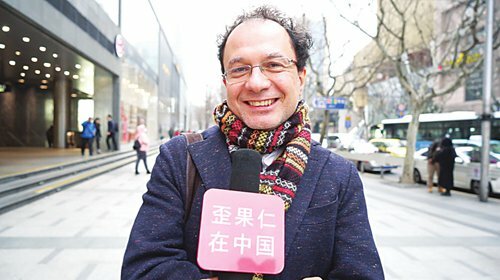 I think everybody is involved, both foreigners and Chinese, because it changes the economic landscape of China as well as every city in it," Fernando said. 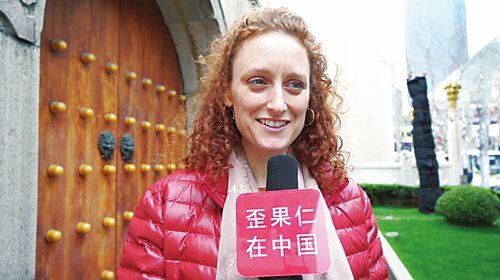 American Fernando, who came to China as a scientist, told the Global Times that the Chinese government is putting a lot of funds into research, as the US does. "And we have a collaboration, that's another aspect. So the collaboration of scientist is pretty open," Fernando said. As a tourist to China, Nica thinks traveling in China is fantastic. "You can actually find everything, and I mean the really original things and ancient stuff to the more modern. So you can actually feel that it is a vibrant city. It's really a pleasure for tourists to be here," Nica said. Hannah came to China to work as a circus performer. "And I was invited to perform in Yangzhou for a Chinese New Year's show. So because there is an openness in business relations, I was able to come here as a foreign worker and perform with the Chinese circus, which was a very amazing experience. I'm grateful to be here in China," Hannah said. Edona has been in China for two years now. "I'm enjoying it, and sometimes I think I love Shanghai, love China. I won't want to leave. So I'm happy. I like this country. Why not to live here forever?" Edona said. For Ozkar, it's a chance for him to learn the culture and business in China, "Because China now is the market of the world. More countries like mine, Mexico, are doing a lot of business with China, helping both economies. So now I have my company in China and I'm very happy for that. I'm doing good, I'm helping people," Ozkar said. Rob thinks that, without the reform and opening-up policy, he would not be in China right now. "So I'm very happy that we have the policy. And I think the living standards for many people in China have improved dramatically since the policy came into place. I know that many people in my country also have been able to do better for themselves because of the advantages of trade with China and otherwise," Rob said. As a foreigner, Abdi hopes to open his own business here in China. "I'm from Australia. China has signed an agreement with Australia in terms of Australian expats opening up businesses. Australian individuals have some concession in terms of what types of businesses to open, so hopefully I intend on opening up my own business to bring our Australian culture to China, and vice versa. It will be easy for people to adapt to different cultures while they are still in their own," Abdi said. According to Abdi, visa options are changing this year. "Australia also has a bilateral relationship where they have opened a 10-year visa to Chinese citizens that wish to migrate to Australia or visit. So the visa issue has been expanding China's door to the world. I hope more changes can be seen throughout the next couple of years," Abdi said. 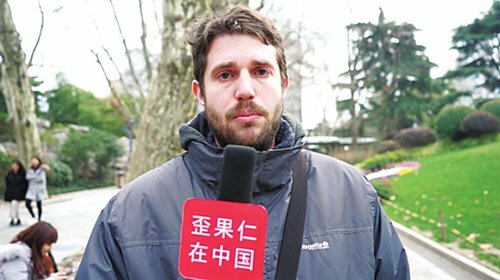 Spanish citizen Francisco said he works in a Shanghai university. "I have my house, I have my car, I can drive it more or less. But yeah, of course, there are some restrictions for the foreign people. But the open policy is very good for me and foreign people in China," Francisco said.